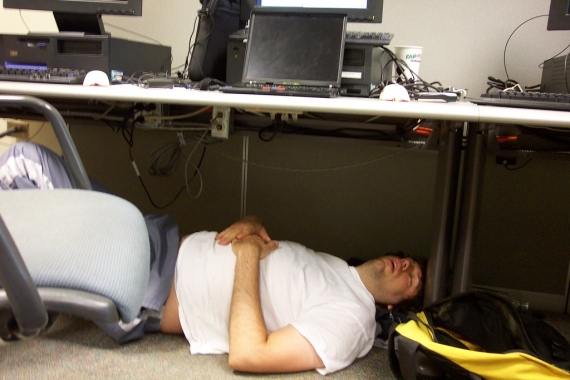 So yes, there’s absolutely nothing bad about dozing off a bit at work – as long as you do it right. For example, you should mind your posture and position to prevent uwanted body pains. And don’t spendOn top of that, it is advisable that you sleep somewhere private. That way, you get to avoid becoming the laughing stock of office – or even the entire internet. 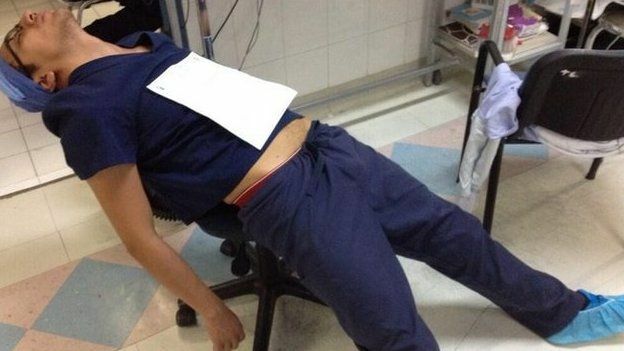 Just take it from these people whose photos went viral online after they were captured on camera collecting some zzzz’s while at the most unlikely places during the most unlikely of times. 1. Sleeping on the plane… outside of it, that is! 2. Imagine the boss’ reaction when she gets spotted. 3. Always makes me wonder how people can sleep in tiny spaces. 4. Under the table. Like literally! 5. He must have been sleepless for days? 6. One wrong move and that’s a painful fall. 8. 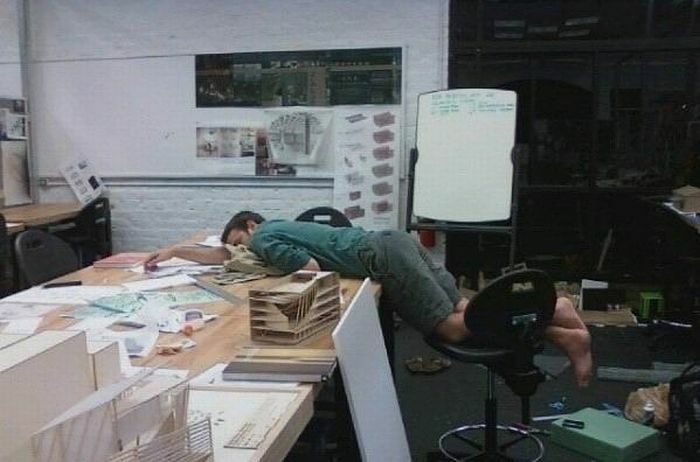 He didn’t even make it on top of his desk. 9. She’s been caught off-guard! 10. 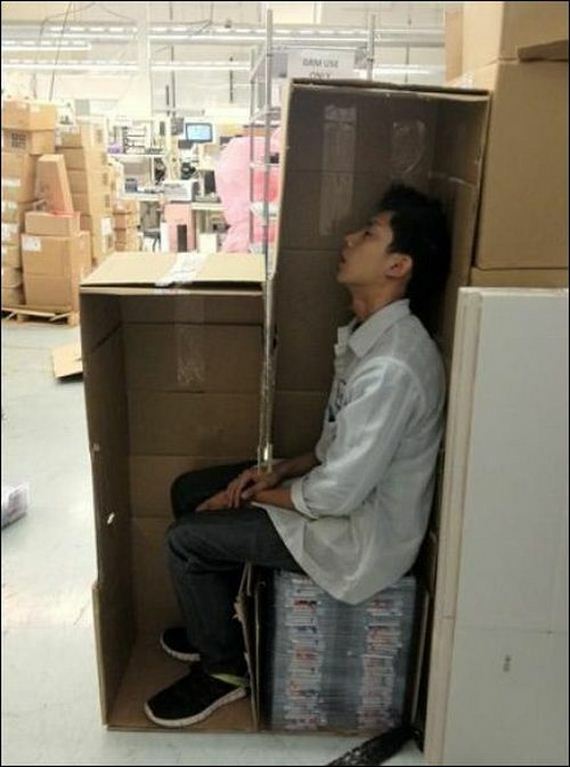 This guy knows how to hide from his boss! 12. Watch out, dude! The blade’s under your chin. 13. The consequences of working overtime. 14. The good thing about drawing tables? They’re perfect for sleeping! 15. Done with his duty? We sure hope so! 16. Imagine the hilarity if the mic was on. 17. Other than protecting your head, hard hats are perfect for covering your eyes while dozing off.